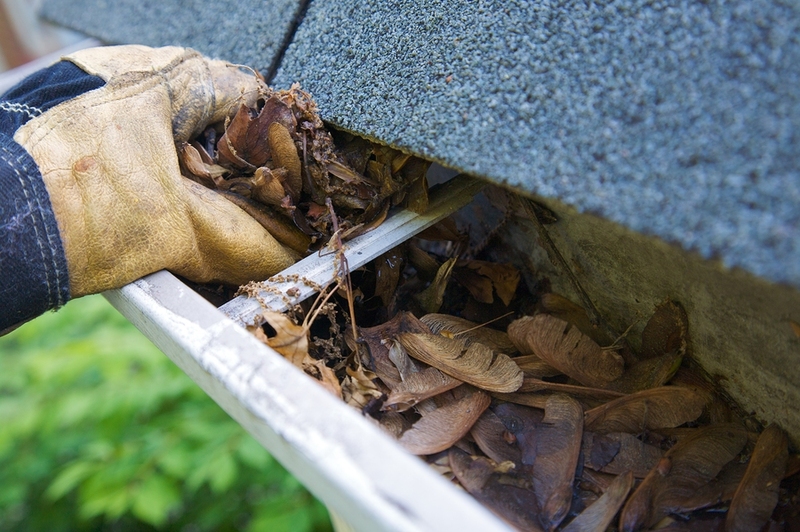 A gutter loaded up with debris is going to become clogged and that’s when the trouble, for your home, begins. To start, a debris-clogged gutter can cause your roof to leak and that increases the likelihood of water damage to both the interior and exterior of your home. Your gutters play an integral role in your home’s well-being. They control the flow of rainwater which helps to protect your roof, walls, foundation and even your landscaping. It’s important, to understand that if your gutters overflow, the rainwater just wraps around the roof and fascia and works its way into your house and or erodes your home’s foundation. Gutters, if installed properly, will prevent rainwater from washing out around your foundation, which subsequently prevents termites from being drawn to the moisture, and keeps mold and mildew off your walls. Keep in mind that it’s very important to have a professional clean your gutters and downspouts because, if either is clogged, they are trained to know what to look for to avoid future problems before they occur. Simply put if you don’t have your gutters professionally cleaned, it can cost you hundreds or thousands of dollars. Wood & Wood Seamless Gutters at 860 563 8820 or send us a email.